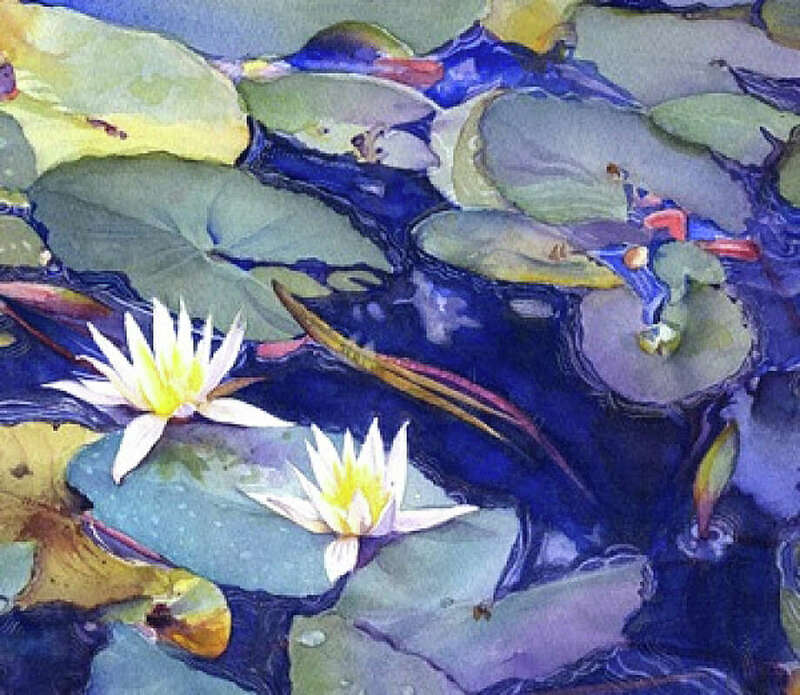 "Sapphire Pond" by Grace McEnaney is included in the new "Fresh" exhibit at Art/Place gallery. “Fresh” is the theme of a new exhibition at Art/Place gallery on Sanford Street. An opening reception is planned Sunday from 2 to 5 p.m. in the gallery. The exhibition will run through Aug. 24. The exhibit showcases work by Art/Place member artists on a range of interpretation on the theme. The artists will talk about their work at the gallery on Aug. 20 from noon to 1:30 p.m.
Art/Place Gallery shares space with the Fairfield Theater Co. at 70 Sanford St. For details on the exhibition, visit .artplacegallery.org or call 203-292-8328.